Home Music You can now get a class ring in texting…wait…what? 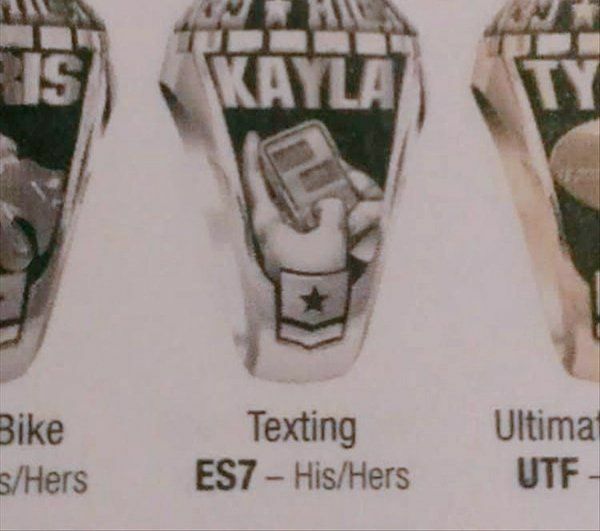 You can now get a class ring in texting…wait…what? In the United States, a class ring is a sign of accomplishing years of school, spending many long hours studying and passing tests assigned in dozens of subjects. You can get one in sports, in music, and now, in texting…wait…what? The ring company Balfour does offer a texting accomplishment on its brochure. It’s on page 15 between Student Council and Accounting. I’d still like one in texting.